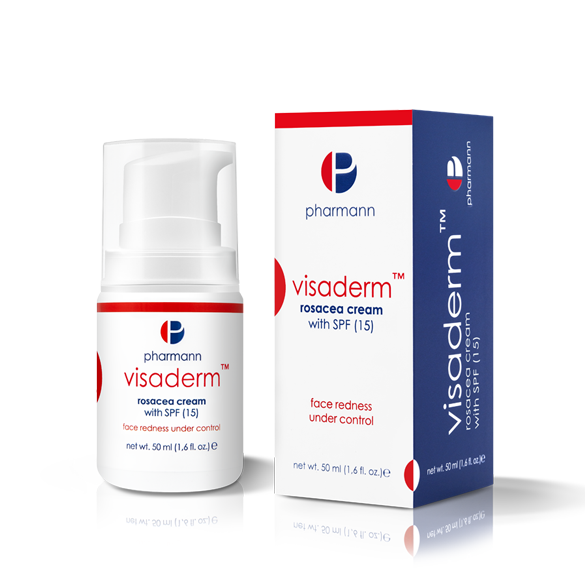 Visaderm™ rosacea cream is recommended for everyday face care of rosacea, capillaries, sensitive skin and skin prone to redness. 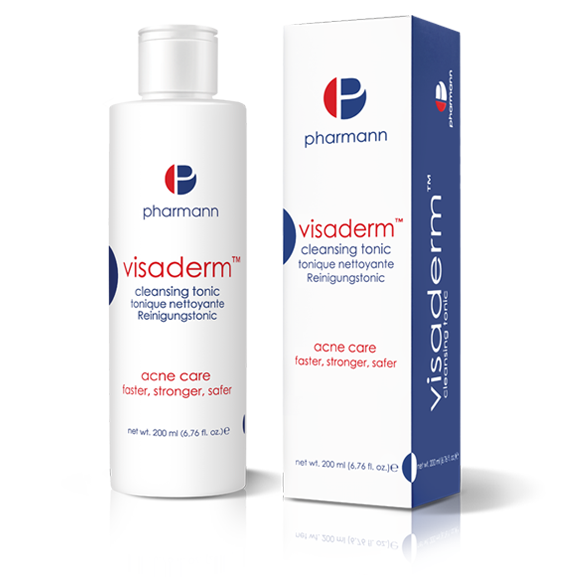 Specially designed formula effectively alleviates redness and erythema. Strengthens and seals weakened blood vessel walls and decreases hyperreactivity of the skin to external factors. Cream enriched with SPF 15, which protects the skin against harmful UV radiation. Tazman Pepper™ – protects and reduces the skin sensibility. Possesses a very strong antioxidant activity. 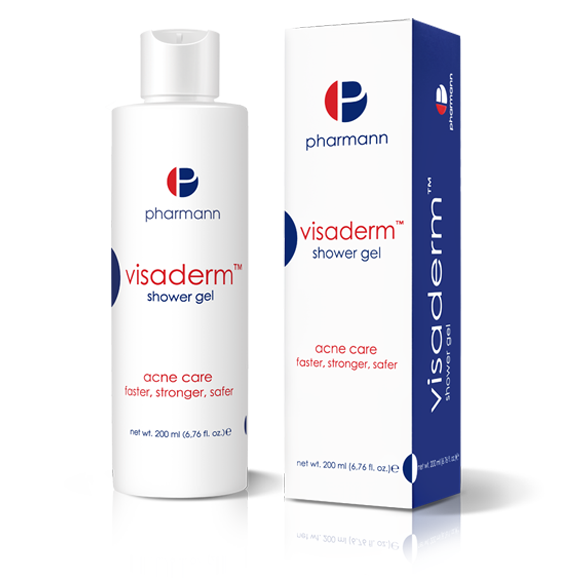 Effectively reduces vasodilation and oedema to soothe the skin. Canadian Willowherb™ – a plant extract containing the bioactive molecule oenothein B, which specifically inhibits the growth of bacteria Propionibacterium acnes. Possesses strong antioxidant and soothing effect. Reduces redness and provides fast relief for skin irritated by the action of irritants. Aldavine™ – created from association of two sulfated polysaccharides derived from algae. 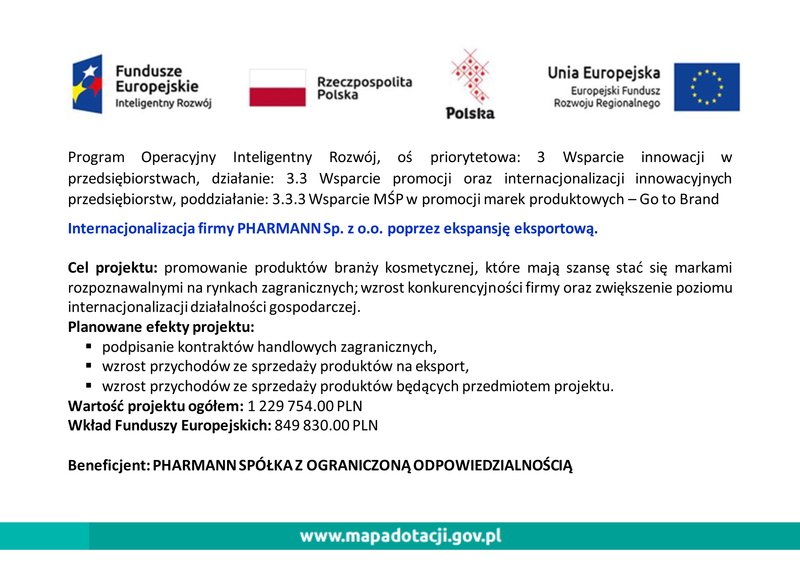 Increases the integrity of capillaries which reduces the visibility of blood vessels. 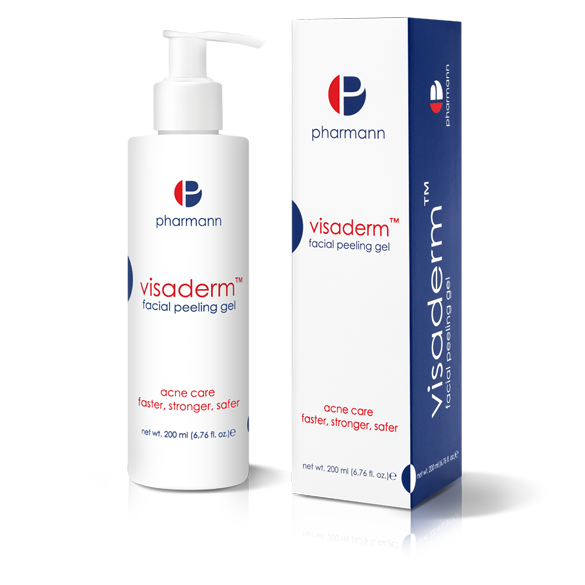 Improves the elasticity of the skin, reduces redness and swelling, soothes irritation. Neuropeptide – possesses a strong anti-inflammatory properties, reduces swelling, skin redness, itching, tingling, burning and pain, prevents oedema. 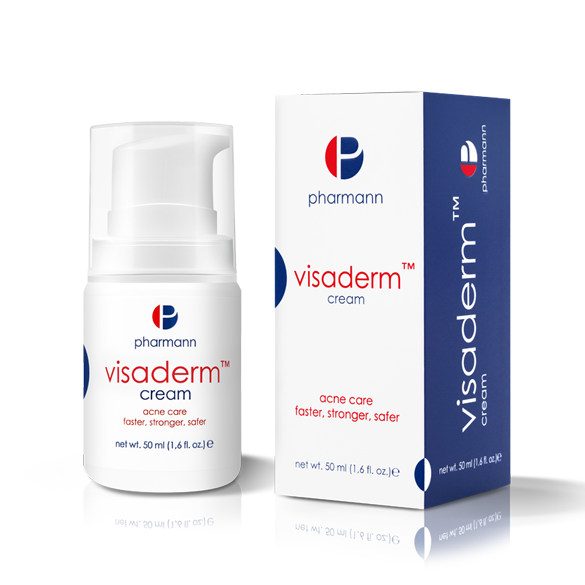 Apply Visaderm™ rosacea cream into the cleansed skin of the face twice a day (every morning and evening).